Be the first to share your favorite memory, photo or story of Cora. This memorial page is dedicated for family, friends and future generations to celebrate the life of their loved one. 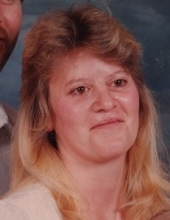 Cora Lorraine Cole, age 57 of Pikeville, Kentucky passed Monday, August 6, 2018 at the Pikeville Medical Center. Cora was born in Pikeville, Kentucky on November 14, 1960 the daughter of the late Arthur "Shorty" Cole and Ella Conn Cole. Along with her parents, she was preceded in death by four sisters, Patricia Faye Cole, Mary Francis Kinney, Joyce Courtney and Dorthy Loretta Cole. She is suvived by her daughter, Sylvia Tackett of Nippa, Kentucky and her son, Eric Tackett of Zebulon, Kentucky. She is also survived by three sisters, Eula Mae Potter of Richmond, Kentucky, Ella Cole of Pikeville and Lisa Bentley of Teaberry, Kentucky and six grandchildren, Cassidy Tackett, Hannah Tackett, Hailey Tackett, Nicholas Rowe, Klhoe Tackett and Kye Jones. To send flowers or a remembrance gift to the family of Cora Lorraine Cole, please visit our Tribute Store. With Arthur Compton and others officiating. "Email Address" would like to share the life celebration of Cora Lorraine Cole. Click on the "link" to go to share a favorite memory or leave a condolence message for the family.